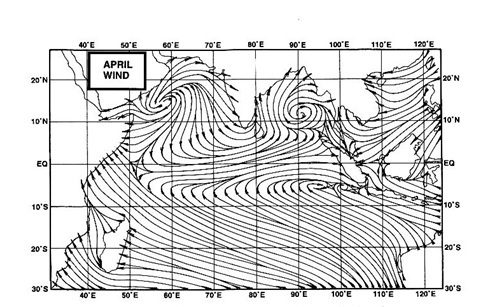 Further Withdrwawal of SWM from Rajasthan, Haryana, Kashmir, Delhi, HP, Utteranchal and West UP Tuesday, 26th night...Daily UTH,OLR and winds confirm. Now for the next phase of axis moving towards N.Mah to trigger the thunder activity (see prevoius blog) and further retreats from regions "alloted" by Vagaries for Friday seems to be on schedule. ( including Nepal) . Sticky mini vortex mentioned brings the Saurashtra and Eastern Gujarat rains, with Surat getting 36 mms and Amreli 16 mms. Another 2 days, and Monsoon withdraws ! But, unexpectedly, vortex moving west into Kutch and SE Sindh..light rains there ?? Bay UAC maintains position, and may drop to sea level to form a low today. Then track away from coast. Yesterday 8.30am Surat recorded 67mm & today 36mm. So total 103mm in two days. So nice rains there before withdrawal. Here Badlapur dry from past 3days & weather looking as if monsoon has withdrawn already ! Mornings are cool & foggy then day bright hot sunshine with very sweaty completely October heat feeling ! Abhijit:that's due to the mini vortex last 4 days..expect monsoon to withdraw from gujarat by Friday. Readers from Mumbai: Keep everyone posted on thundercloud developments from today till Sunday, and with your name and locality please...here in Mumbai not everyone has an open horizon view..
Just now posted sky view of Badlapur & some doubt too on vagaries FB. And morning 8am clear view of Badlapur also posted. Closely monitoring weather in bangalore. As per IMD from tomorrow weather should change in bangalore. Its been very hot for the last 15 days with little rain. Anyways we are now close to the wettest Late Sep-Oct period. Don't remember closing in on this period ever before with so much heat. Hope it translates in to super rain. Also over the years I have noticed Oct1 to Oct15 to be the wettest period for bangalore. Once NE sets, rains decrease and at the mercy of depression crossing on to south karnataka from Bay of Bengal. Pre NE monsoon is the best time for Bangalore , Mysore , Dharmapuri , Salem and Coimbatore. @rajesh u said tht the uac will move away from the coast .is it due to westen disturbancce?why cant the low move westward inland .? ?and reading yest post i intrepreted tht u meant the withdrawal line will extend upto vengurla -goa area by 1 st oct..i am hoping for sticky formations lyk the guj uacs over konkan goa!! Afterall we cannot accept a rukha sukha farewell! :) :)one more thing i wanted to ask u is abt the contrasting difference btween south and north kerala rainfall!! Although i read a detailed scholarly article abt it!! But i dnt get the exact answer! !why does south kerala receives so less rainfall compared to north kerala during sw monsoon? "spotted" alto-cumulus clouds over Mumbai seen now @ 12.30pm Wed.
@ rajesh sir, Atlast thunderclouds are clearly visible at the eastern sky here at Vasai. looks like the UAC in the bay is likely to enter maharashtra causing there will be some thunderstorm activity in the following week for maharashtra , which at the moment looks very positive.need to watch closely what lies ahead.for maharashtra including mumbai . also pune n nagpur will have effect of this system entering maharashtra.by next week. do not know much about thundering clouds. someone please explain...but from borivali i can see some rising clouds in the eaast. is that type of cloud for thunder ? thunderclouds are about to take full form here at bhoisar as the clouds have started gathering towards the eastern sky. but also the possibilities of a thunderstorm are on lower side, even the humidity is around 59%.very difficult to conclude , as the situation is favourable for a thundershower, lets wait n see wht happens by evening. @ anonymous , i personally feel chances are very dim for a thunderstorm at the moment as the sky has started to clear up and the towering clouds are fading away.chances r very less for any thunderstorm activity. @ Anonymous. Agree with you. Here in Badlapur also sky has started to clear up and the towering clouds are fading away.chances are very less for any thunderstorm activity! As per Mumbai radar thunderstorm patches have been developed between Pune & Satara belt !! @ Rajesh Sir. But I m thinking that Bay UAC will enter inland initially traveling west then might curve to NW direction. And by Sunday night UAC will be placed between Hyderabad & Nagpur region(i.e AP/MAH border region) !! i feel personally thunderstorm will take place in mumbai only next week , as the UAC/ LOW, will enter maharashtra thru bay somewhere 2nd oct, THATS THE TIME Mumbai WILL Experience a REAL THUNDERSTORM. CERTAINLY THE FAREWELL RAINS WILL NOT LEAVE MUMBAI WITHOUT GIVING A REAL FAREWELL , SO WE NEED TO WAIT UNTIL 2ND OF OCTOBER FOR THE THUNDERSTORMS. Dombivli got a few showers.But then also,....feeling very hot & muggy. Now Mumbai Radar showing Thunderstorm also developing in patches near Igatpuri & Nashik regions ! the IMD Radar page for Nagpur is worth looking just now !! Message flashed - 40 KVA External UPS Unserviceable !! @ ANONYMOUS CERTAINLY THE MONSOON RAINS WILL NOT LEAVE MUMBAI EARLIER THEN NEXT WEEK. @ emkay. Nagpur radar is offline and not working from July itself. So same flash msg from July.. You can see last working date on by clicking on product on GIS of IMD's site. Looked to me in the morning that Thunderstorm will develop in Bangalore, however I can see the sky clearing up now here at Koramangala, also looking Eastwards too I don't see any CB clouds right now. So may be as Vijayanad has pointed out, there may be rains from tomorrow. I am missing all the activity (or the lack of it) sitting here in Bangalore since last week. @ NT. Mumbai and surroundings area also were looking for Thunderstorm as towering clouds were forming in afternoon period but now at moment here also all faded out and moving towards clear sky now. You have not missed much until yet as from 23rd Sept almost no rains here.. Just heat is increasing as temp are touching to 33 C mark with bright sunshine and sweaty conditions.. Only early morning is bit cool. @ Sridhar. From past 3days Daytime is hot & evening/night & early morning are cooler pleasent..
Monsoon has withdrawn from western himalayan region still this region is receiving rain at isolated places,Kasauli(HP) recorded 42.3mm of rain. @ sset. @ NT. Whether it rained in Bangalore or not ! As satellite image is showing thick cloud cover in Bangalore at moment..
No Modakji- not a single drop. Entire sept was extremely hot - unlike earlier years. @ sset. Ohh. So Is there just overcast or some lightening activity happening ! No sir nothing - infact no winds - everything standstill and hot. tommorow definitely there will be a thunderstorm as humidity level at the moment on the higher side.